Tell us about your initiatives in Telangana SWREIS that became the trend setter for the government- run educational institutions? It is the methodical and intense training to teachers, science projects which allow students to explore the improbable, interactive learning programmes with experts on Mana TV (a government channel), digital learning in the classrooms, E-PLUS CLUB conducting different activities for the students to enhance their soft skills, or CCE (Continuous Comprehensive Evaluation) customised to the State syllabus, all these innovative measures brought about a fresh lease of life to education. How often the staff and teaching faculty of Telangana SWREIS undergo training? It is the excellent mind mapping training to staff and teachers by Victor and Sarah of Reading Wise. Thanks to MANA TV (a government channel) which operates in 198 institutions today, students are exposed to daily lessons as per the schedule given on SAPNET Website (www.sapnet. gov.in). Further, the academic section of the Society is conducting MANA TV lessons from our own faculty of various cadres depending on their competence, confidence and contribution. Apart from this, our other initiatives like Digital Learning, Boot Camps and P5 programmes empower students with soft skills, communication skills, confidence, IT literacy, etc. Can you tell us about your popular programme V4G or Voice for Girls in Telangana SWREIS? tremely popular and caught on like wild fire as it changed the perspective of students in a big way. They started seeing a new and meaningful dimension in their lives. These girls called Sakhis turned into volunteers and started propagating the message of goodwill in all 290 schools. We now have a battalion of 1200 sakhis. All your 291 schools begin from grade 5 only, why isn’t Pre-Primary and Primary included? Especially it is said that those are the formative years, why is it excluded? It is believed that till the age of nine, the child needs parent so he or she is advised against a residential school. Hence, it is only after nine years that we start taking enrolments from grade V upwards. However, we do plan to include the Primary very soon. In fact by the time the students enter grade V they are already coming from a vernacular background to English medium school and find it difficult to cope. One of our pre-requisites is that the class should be very noisy. If it is not so, we assume children are troubled and not comfortable in the class. Hence, we have to ‘undo’ and start refilling the cups again. What is the mode of coaching or training that has led students from Telangana SWREIS bag seats in premier Indian Institutes like IIT and NIT? We have special trained teachers who coach the students for these competitive exams. 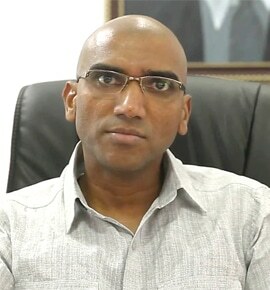 In fact, we have Sri Chukka Ramiah garu’s expert guidance and he also happens to be the member of our Management Board. He actively helps us in selecting the bright students through an entrance test for admission into IIT coaching.